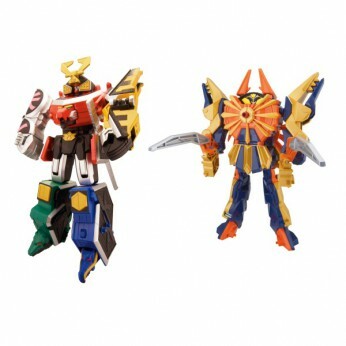 Based on the Samurai Megazord and the Claw Beetlezord from the Power Rangers Samurai and Super Samurai TV series, combine these 2 Megazords to create the Claw Armour Megazord. Combine cycles and zord vehicles for extra play (sold separately). This toy costs approximately £39.99 (for the latest and best prices make sure you check our retailer list for the Power Rangers Samurai Megazord Pack above). In our review of Power Rangers Samurai Megazord Pack we classed it as being suitable for ages 3 years, 4 years, 5 years but recommend you check the manufacturer specific advice before purchasing.